This page contains answers to frequently asked, customer service questions. For our full terms and conditions, please click here. If you place an order outside the UK we will deliver your order via either Air Mail or a courier. Costs for postage to countries within or outside the EU will be calculated at the checkout process. All orders placed before 3pm are dispatched on the same day (on working days, subject to availability of stock) and are sent out with your chosen courier method. Orders placed on a non-working day are processed and sent out the next working day. Free economy shipping is applied to any orders posted to a UK address. Free postage is only available on web orders. We are open from 8:30am to 5:30pm, (GMT) Monday to Friday. Orders can be placed any time via our website. If your order is placed outside of working hours it will be processed the very next day. Finding the product you are looking for is easy by using the search box located in the upper right hand corner of each page on the Metabolics.com. I've Seen A Product on Metabolics.com But It's No Longer Available. How Can I Find It? Try using the search box in the upper right hand corner to find the product first. If the product is no longer available it could be that the product has been discontinued due to EU legislation or we simply may have stopped manufacturing it. Call the Metabolics Sales Team on 01380812799 for further information. Do I Need To Register With Metabolics.com In Order To Place An Order Online? Yes, In order for our team to process your order you will need to create an account. Once you have created an account you will be able to place new orders quickly and easily as well as access your online order history. If you wish to place an order over the phone please call 01380 812799 to speak to one of our sales team directly who will be more than happy to process your order. How Can I register With Metabolics.com? To register with Metabolics.com simply click here to sign up. How Do I Login & Sign Out Of My Metabolics.com Account? If you wish to log in to your account select the 'Log In' option at the top right hand corner of the Metabolics.com homepage and enter your username and password. To sign out of your Metabolics account, please select the 'Log Out' option found at the top of the Metabolics homepage. 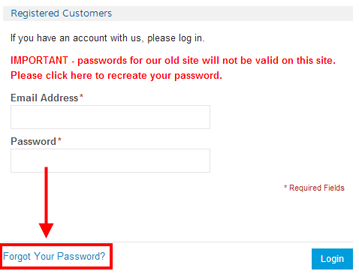 You can request a password reminder or a password reset on the 'Log In' page. Once you are there simply click on the “Forgot Your Password?” option. I Have Missing or Damaged Order Items. In the unlikely event of your order being damaged, or ordered items are missing, please contact our sales team immediately on 01380 812799, where one of our sales team will resolve this for you. We accept returns on any unopened goods that are returned within one month of ordering. If you need to return an item please reseal the parcel your order arrived in and circle the address on the stamp found, and return to us. Before doing so, please ensure you have contacted the sales team and obtained a returns number. Without one we will be unable to process your return. If you have any specific questions regarding a return please call 01380812799 and one of our sales team will be delighted to help you. We will process your returned item (s) as soon as possible upon receipt (Within 48 hours). However, please allow 7 working days for your card to be refunded as some banks or credit card companies can take longer than others.